The company COPELE was created in the late fifties by D. Andres Galián Alcaraz, which has been at the head of livestock equipment sector. 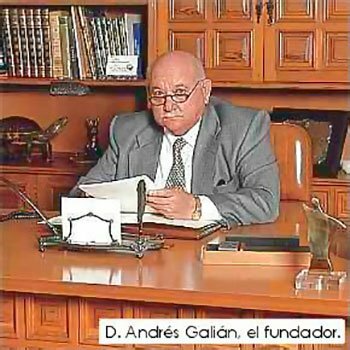 After his absence in June 2001, directs the destinies of the company D. Galián Francisco, who has always had a close involvement in the decisions of the same. The philosophy of COPELE has always been faced to the customer service. To achieve this has given the means and the right people for each role. From the administration, logistics, R & D, production planning and technical direction, to the production plant with advanced machinery lines such as: sheet cutting line high precision presses, punching, folding, all with CNC. Trefiladores wire, welding multipoint as well as cardboard and shrink wrap. COPELE also attaches great importance to coating materials (zincaclo-galvanized), which largely determines the final quality of the product. All these processes are performed under strict quality controls, which are reinforced by our associated participation with the Metal Technology Center of the Region of Murcia. Our customer service is completed by our sales team, serving permanently and personally to all our customers. Our fleet of vehicles provides an excellent service, which allows to deliver the goods quickly and in perfect condition.